If you are looking for the best destination for hiking, you will find that Italy has some of the most beautiful landscapes and trails in the world. In particular, the way the villages of Cinque Terre are structured in a national park between coastline and terraced hills, allows for amazing excursions in nature. 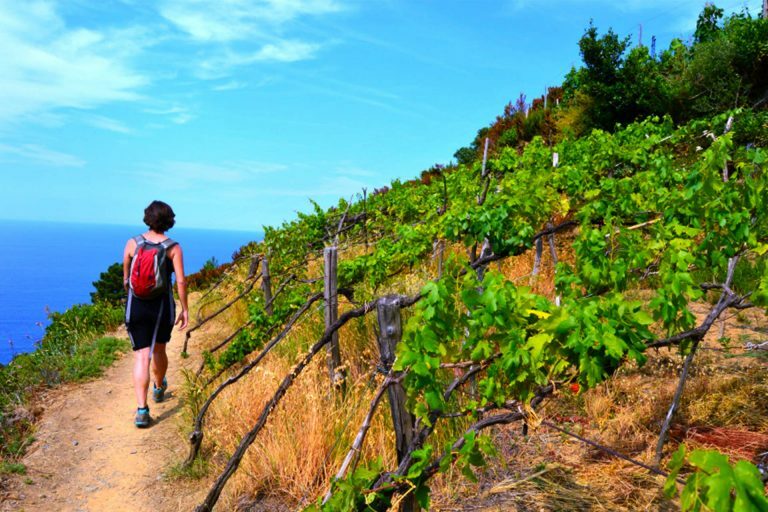 Here are some useful tips before you undertake hiking in Cinque Terre. Trail n.2, known as Sentiero Azzurro, is the most famous trail. It is formed by different paths and it can take you from five to eight hours to complete, depending on how many breaks you take and your pace. The tract between Manarola and Corniglia is quite light, featuring lush gardens and more beautiful views of the Ligurian Sea. After Corniglia, you will find a more challenging experience. 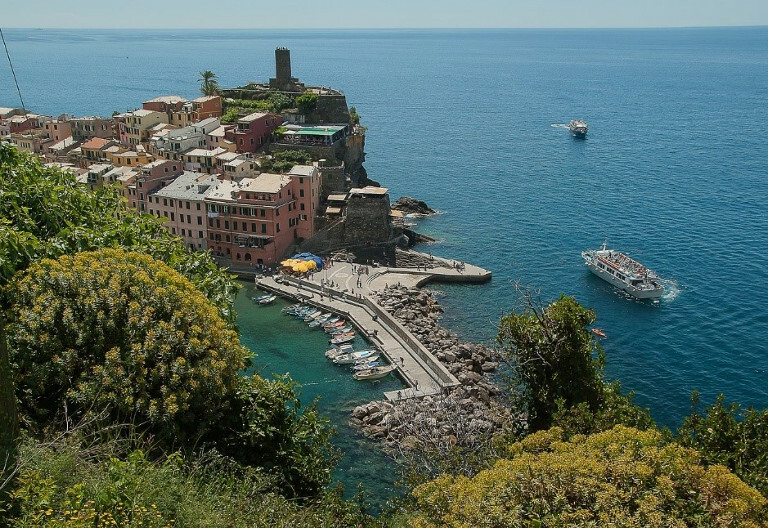 On your way to Vernazza you will be traveling to the highest point of Cinque Terre. The last path, between Vernazza and Monterosso, is the most challenging, but the panoramic views are ideal for epic selfies. The path known as “Via dell’Amore” has been closed to the public since 2012 due to landslides and renovation works. Before you set out hiking, make sure to check the status of the paths on http://www.parconazionale5terre.it/Esentieri-outdoor.php. The Cinque Terre National Park may occasionally close some tracts based on weather and overcrowding. There are also hiking trails off the beaten path, if you prefer to stay away from the most frequented ones and love adventures. 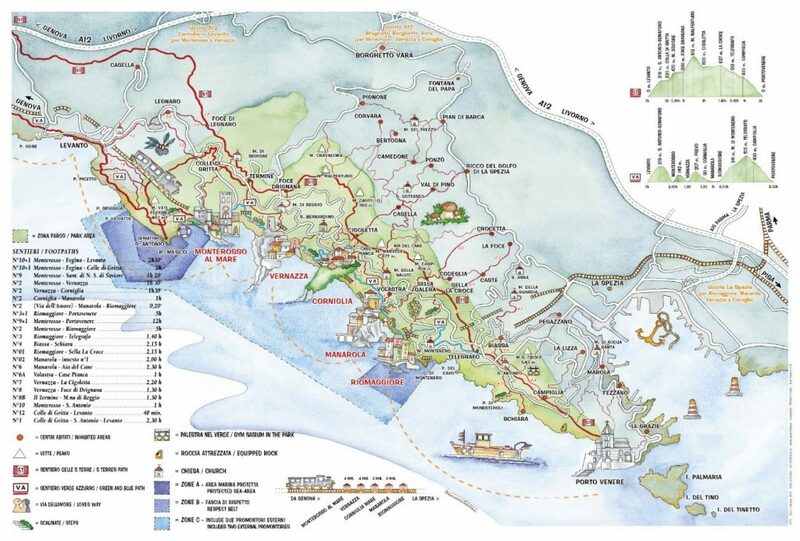 Examples are the paths that take you to the sanctuaries of Cinque Terre, such as trails n.3 (Montenero Sanctuary), n.6 (Santuario di Nostra Signora della Salute), and n.8 (Reggio and Soviore sanctuaries). Expert hikers can also choose rugged mountain trails. We recommend choosing these alternative paths especially in high season, because they allow you to hike freely and comfortably and they are just as beautiful as the famous Sentiero Azzurro, where you risk walking in a queue. If the trail network is overwhelming or you want to ensure the best result for your effort, hiking with environmental guides is a great idea: they know every trail like the back of their hands and will make you discover secret places and the best views. Keep in mind that hiking in Cinque Terre is not as easy as some people think! It’s all about steep climbs and descents with steps, so you must have fit legs and knees, and possibly not suffer of vertigo. Our insiders at BeautifuLiguria always choose the most suitable path based on the conditions of our Guests and of the weather. The so-called mid-season is the best time for hiking in Cinque Terre. In fact, the mild temperatures in April, May, September and October make it more pleasant to walk. If you can only travel in summer, when the trails can get too crowded, try to start your hike very early in the morning for a fresher, calmer experience, and then proceed your visit by boat or by train. July and August are not recommended for hiking because the Cinque Terre are simply too hot and there is no shadow along the paths. This is probably a “Hiking 101” tip but it’s always a good idea to repeat it: comfortable shoes are a must even for the easiest paths; avoid flip flops and high heels! Make sure to travel light, with a bag or backpack with essentials such as water and sunscreen. In spring and summer, we also suggest you take your bathing suit with you, because there is nothing as rewarding as a dip in the Ligurian sea after a long hike! If you are hiking along the trails off the beaten path, keep in mind that they will have few spots where to buy provisions and that not all sections have signs, so some level of orientation with the terrain and a bit of physical training is desirable. If you can, consider buying drinks and snacks before you reach the Cinque Terre, because they can be overpriced once you are in the villages. Most hiking trails are free of charge, however during the peak season the Sentiero Azzurro is subject to an entrance fee. If you are traveling independently, you should visit the website of Parco Nazionale 5 Terre for more details regarding the fees and the latest updates regarding the paths that are closed. Unless you are extremely fit and willing to walk non-stop for 8 hours, you cannot hike along the path that touches all Cinque Terre in one single day. You would not even have time to stop and visit the five villages. We recommend the “Slow Travel” approach, not only because you will enjoy more quality time and appreciate the essence of the local history, nature and cuisine, but also to make tourism more environmentally and socially sustainable. This is a fragile territory and it is of fundamental importance for us to respect it. Little things can have a huge impact. For example, by involuntarily touching a vineyard we could cause the loss of a precious bunch of grapes. And we should be careful not to ruin the dry-stone walls that were built with so much effort and sacrifices over the centuries. No matter which season you choose, or whether you are a beginner or expert hiker, relying on a local insider can help you escape tourist traps, discover hidden gems, avoid paths that are closed due to landslides or maintenance works, and make the most out of your time. You can also combine your hike with a typical experience. 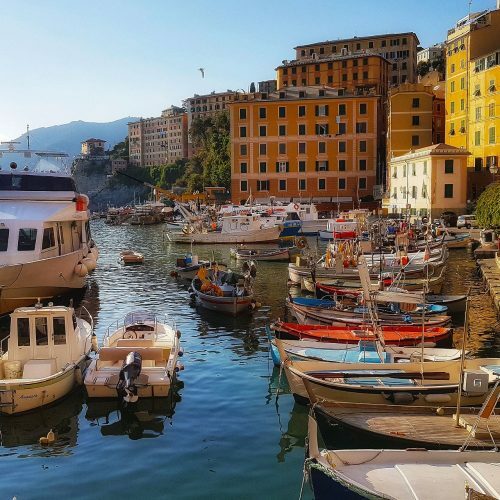 For example, with “Cinque Terre Hike and Taste” you get to trek through terraced vineyards and steep trails, and to relax by tasting fresh and traditional recipes such as vegetable pies, focaccia and local anchovies. 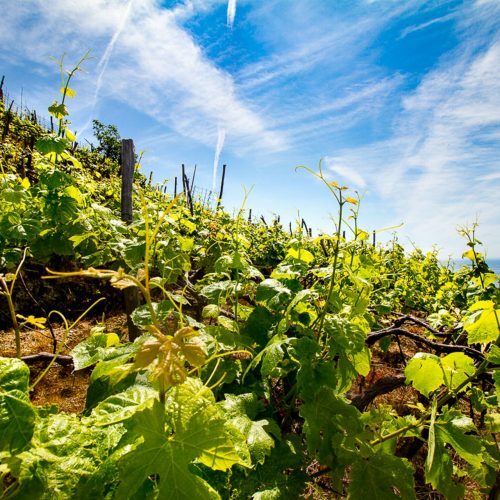 The Hike & Wine experience, instead, allows you to meet a local winemaker, to visit the heroic vineyards, and to taste rare local wine in the traditional cellar carved in rock. Do you want to hike in Cinque Terre with one of our insiders? Contact Beautiful Liguria now.